This past April our youngest turned 5 years old. 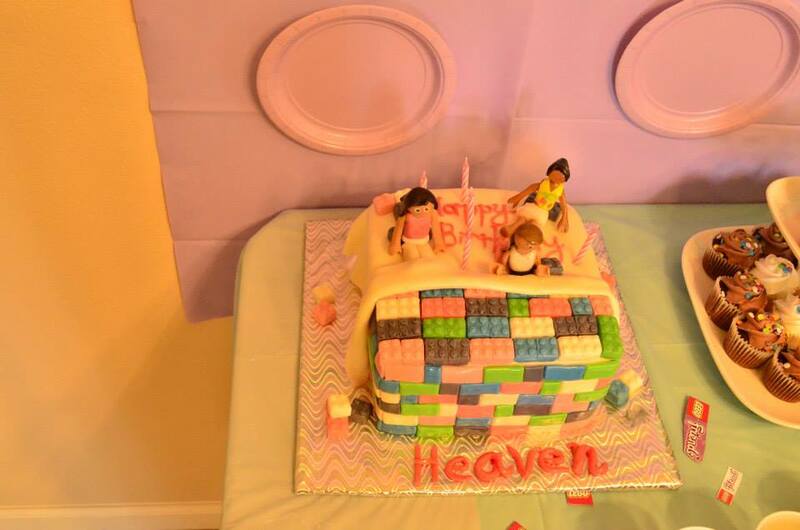 She told me she wanted a LEGO® Friends theme for her birthday party. 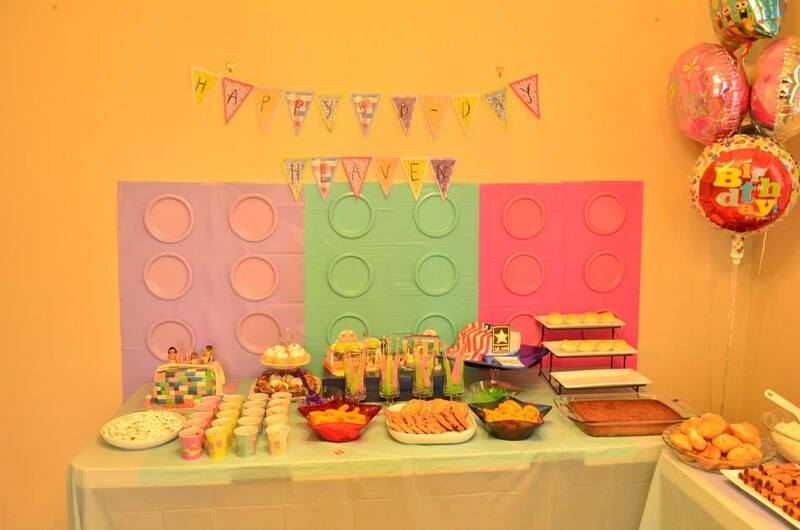 I am so glad of the internet, especially Pinterest, that I was able to grab some party ideas with this theme. For decorations, I incorporated different ideas from different pinterest pins. For my banner I printed it out from lego.com/en-us/friends as well as different coloring activity papers and pictures that I used for decorations. 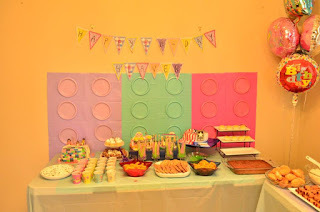 As for my backdrop for my dessert table, I used 3 different colors of plastic table cover; lavender, turquoise, and pink and used small paper plates of the same color to create lego pieces backdrop. 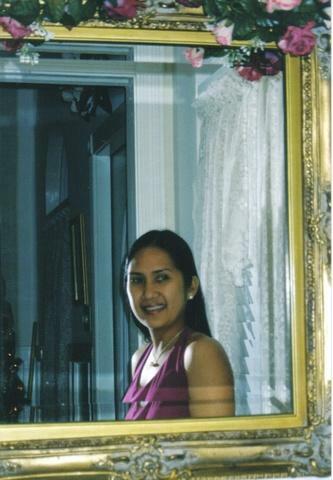 In our family room, I put up a photo booth/area so the visitors can have their pictures taken. I bought props such as oversized eye glasses for the girls to use. 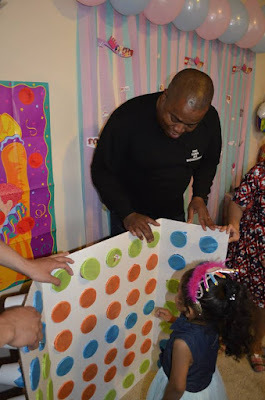 Not only the little girls enjoyed it but the moms as well. 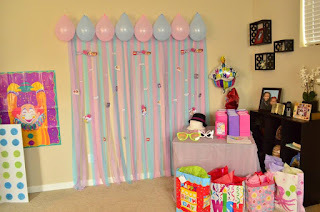 The backdrop for the photo booth I used crepe paper streamers in turquoise, lavender, and pink and balloons in baby blue and pink. I attached cut out lego logos from my girls lego boxes as well as pictures of Lego Friends characters from Lego.com. A friend of ours who makes cake made our little girl a Lego Friends inspired birthday cake. Our little girl was so ecstatic upon seeing her cake. For games and activities, I had a coloring station and whoever color the nicest can win a prize. I also had a station for guess how many legos in a jar. Who can guess the nearest number will win. The kids also had fun during the build the lego contest. I did not have a pinata and a great idea I got in pinterest is the punch a box. 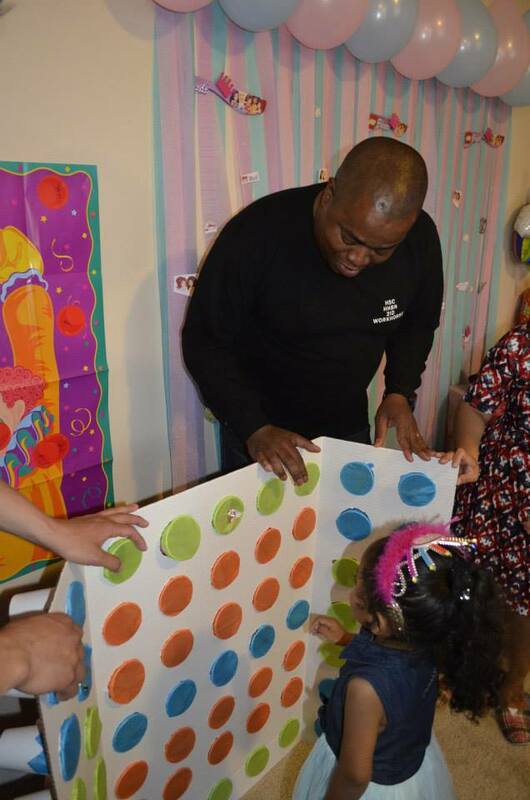 It was a hit with the kids too. 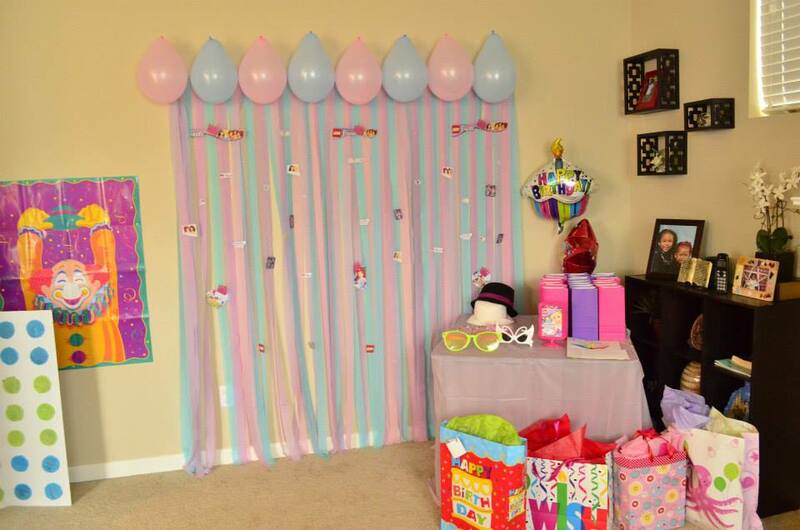 Planning for a kids' birthday party can be exhausting but so glad and thankful for resources online. It was fun doing it and our girls enjoyed helping me in the process.